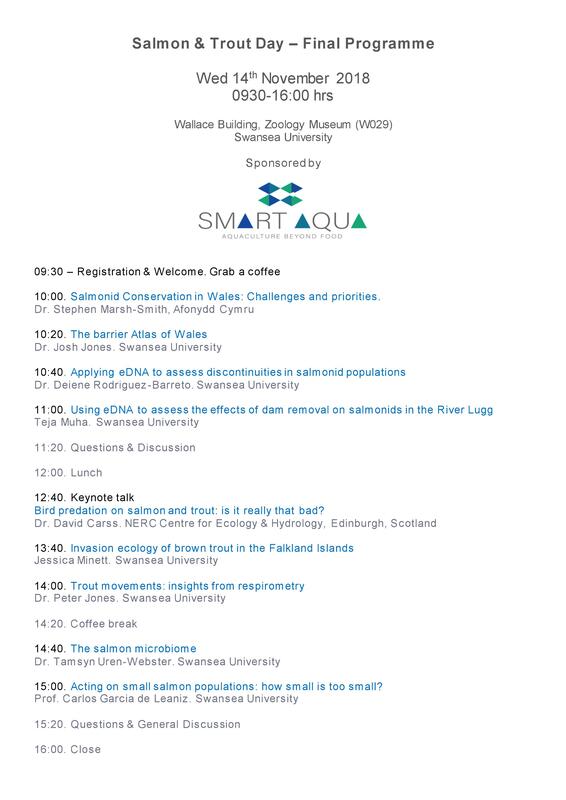 The Swansea University, Centre for Sustainable Aquatic Research in collaboration with SMARTAQUA welcomes the Salmon and Trout Day symposium on the 14th of November, 2018. Invited keynote speakers from Swansea University; NERC Centre for Ecology & Hydrology, Edinburgh, Scotland and Afonydd Cymru will discuss salmon and trout conservation from different angles. Speakers will present topics ranging from fish movement, microbiome and the usage of eDNA.